William M. (Bill) Fine died on 17th May, 2013, at the age of 86, after a long battle with multiple atrophy syndrome. He was born 1st July 1926 in New York City and spent his early childhood in Los Angeles. A friend of former Taoiseach Jack Lynch, for many years Bill Fine had a house in Oughterard. While attending Kenyon College in Gambier, Ohio, he was part of the first group to create a scholarship major in Speech. He later took the “short course” at the Harvard Business School. Fine served with the 45th Infantry Division from 1944 to 1946 during which time he received battle stars and the Bronze Star medal for action in the European theatre in World War II. Along with 31 others, including President George H.W. Bush, he received the World War II Peace Medal at the Union League Club, for efforts to initiate peace from the end of the war. In July 1982, President Ronald Reagan named Fine a member of the JFK Center for the Performing Arts in Washington D.C. In 1986, President Reagan named him U.S. Adviser to the U.S. State Department on the Anglo-Irish Accord and International Fund. He spent four years under President Reagan, and 3 ½ years under President George H.W. Bush, in that post. At the direction of the White House, the EU and Sir Geofrey Howe, Fine assisted in the successful organisation and execution of the plan that involved an Anglo-Irish International Fund aimed at building factories, financing small businesses, recruitment for job training, and acting as investment bankers for job creation. Fine also worked with President Jimmy Carter on the Strategic Arms Limitation Agreement, attending meetings on the Agreement at the White House. Bill Fine started his publishing career in weekly newspapers in Westchester County. In 1948, he bought the Tuckahoe Record and Bronxville Reporter, with partner John G. Shedd. He then spent ten years with the McCall Corporation, first as Fashion Advertising Manager, then General Manager of McCall Corporation West Coast. In 1957, he joined the Hearst Corporation, and for a short time, was Executive Editor of Good Housekeeping. He became Publisher of Harper’s Bazaar in 1963; and then Publishing Director of Bazaar, House Beautiful, and Town and Country. Over the years his articles, stories, and columns were published in 37 magazines and hundreds of newspapers in the US, the UK and Ireland. In 1974, President Richard Nixon gave Fine his first interview after leaving the White House. It was published worldwide. In 1967, Bill Fine was asked to be President, CEO, and Chairman of Bonwit Teller. His six years there were an innovative period for this division of Genesco Corp, which had its own Board of Directors including at the time Nancy Reagan, Betsy Bloomingdale, Babe Paley, Arlene Frances, Phyllis Cerf Wagner, and Mary (Mrs. John) Lindsay. In the mid-seventies, Fine became President of Wamsutta Mills. He was also President of Dan River Home Products Brands. Later, Fine bought Frances Denney Cosmetics. In 1984, Fine started the WMF Fund Inc. 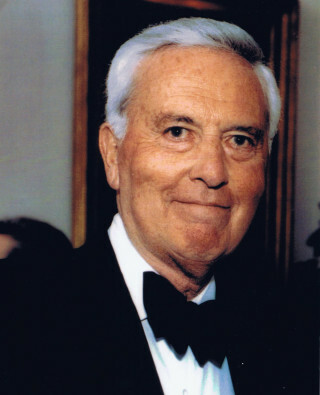 He was a member of the Warnaco Board of Directors for 32 years; Towle Silver and Hermes of Paris for 12 years; and also served on the Boards of Sheffield Watch, Lowenstein, and Galway Crystal in Ireland where he was a shareholder. Fine was a Director of the Barbara and Frank Sinatra Children’s Center. Fine’s book That Day With God, on the assassination of President John F. Kennedy from a spiritual point of view, was published by McGraw-Hill and long before recorded books became common it was also made into an RCA recording, narrated by Henry Fonda. The Pope recorded his words on the assassination, Cardinal Cushing wrote the preface, and Cyril Ritchard spoke the words of the poet John Masefield. Rose Kennedy endorsed the book for the Kennedy family. Mr. Fine’s second book , 16 Celebrities Who Charmed My Life, was published in 2003. His third book, Gonzales, a Noble Dog, was published in 2009. His fourth book, Nothing, ExceptEverything, Is Enough, was published in 2011. He was a member of the Union League Club in Manhattan, Wee Burn Country Club in Darien CT, and the Beverly Hills Tennis Club. Mr. Fine is survived by his long time partner, Kay Pick, who was with him when he passed away. He is also survived by four sons: B. William (Bill), Douglas, and Timothy in the US and Adam in England. He lost a son Alexander to diabetes in 2004. He had five grandchildren and two great grandchildren.